Hey everyone! It's Candace from Candi O. Designs and it's my day over at Jaded Blossom. 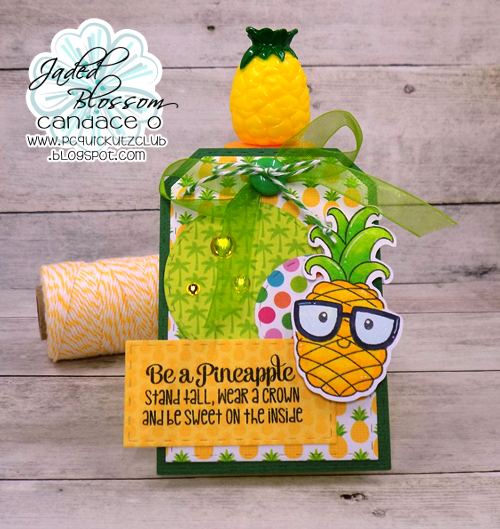 I found this bottle of pineapple bubbles and thought it would be really cute to add a tag and use the pineapple stamp set of Jaded Blossom. 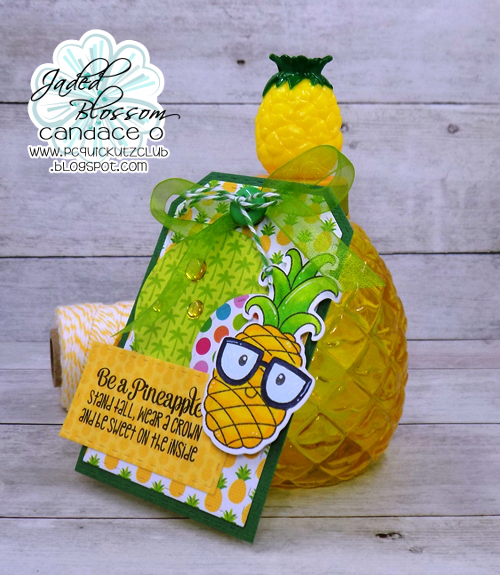 Super sweet for a summer treat!! WOW! This is so SUPER CUTE!